We are looking for a talented Automation Engineer or Developer in Test to work on a large scale digital transformation project in either Manchester, Telford or Leeds on a contract basis. You will be responsible for building technical projects from scratch alongside a talented and passionate technical team on DevOps Engineers and Software Engineers using Java and Scala. If you have experience working on multiple agile projects as a Senior Automation Engineer or Developer in Test within a Java development environment, then this position is for you. We are looking for someone who is comfortable working alongside Software Engineers to provide the best solution possible. Excellent automation (selenium preferred) experience is essential for this position as well as extensive experience and positive emphasis on working within a Test Driven Development environment. Working with an advanced technical focus, you will be one of the core representatives for one of the leading digital consultancies in the UK, working on one of the most talked about projects in the UK. This, therefore, means that the way you communicate and a positive attitude towards team development and programming practices needs to be excellent. This organisation has a passion for Agile and eXtreme programming methods. You will have the opportunity to work in a dynamic environment, sharing ideas and working within a fully collaborative environment. This is a fantastic opportunity to take that next step in your contracting career, acting as a core influence on a world-class project. The project is an initial 6 months with likelihood of extension, a perfect contract to really get your teeth stuck into. 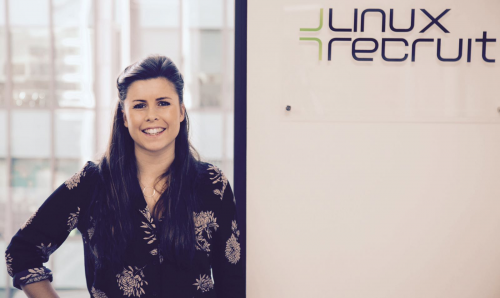 Please get in touch with alice.lloyd@linuxrecruit.co.uk for further details. Please note that no terminology in this advert is intended to discriminate on the grounds of age, and we confirm that we will gladly accept applications from Senior Automation Engineers or Developers in Test of any age for this role. LinuxRecruit are a leading open source specialist and provides services as an agency and an employment business.